Lhasa Namtso lake EBC tour is one of the most popular trips in Tibet offers awe-inspiring landscapes, ancient cultures, medieval cities and Majestic Mt. Everest. At the historic valley of Lhasa, ancient monasteries full of rich Tibetan architecture, historic fortresses, the serene turquoise lakes and the charming Tibetan people warmly welcome you. The 'Lost Horizon' in literature and the 'Forbidden City' for the past several centuries is still a city of several wonders. The must-visit places in Lhasa are the legendary Potala palace, the sacred Jokhang Temple, Ganden Monastery, Tibetan Medical Centre and so on; the list goes on as far as time permits you. 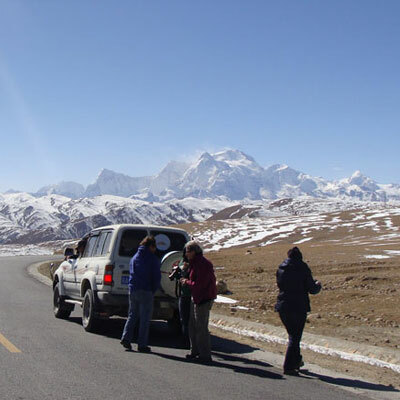 Lhasa Namtso lake EBC tour starts with a scenic flight from Kathmandu to Lhasa over Mt. Everest. 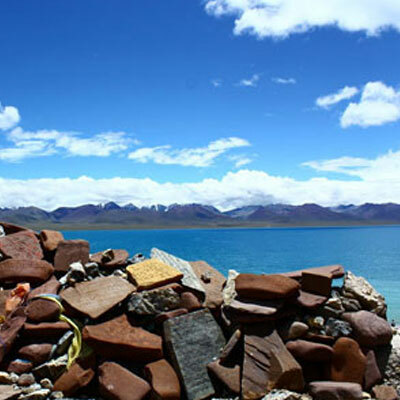 A bonus to this wonderful tour is a journey out of Lhasa to the alluring and beautiful Namtso Lake. The world famous lake is considered the highest-located salt water lakes of the world and one of the most beautiful lakes of entire Tibet. From Namtso Lake the journey continues towards Shigatse through Yangpachen valley. 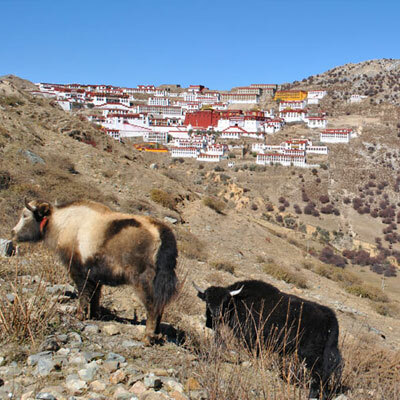 In Shigatse, we can visit the Tashilhunpo monastery, previously the home of Panchen Lamas, among other attractive places. 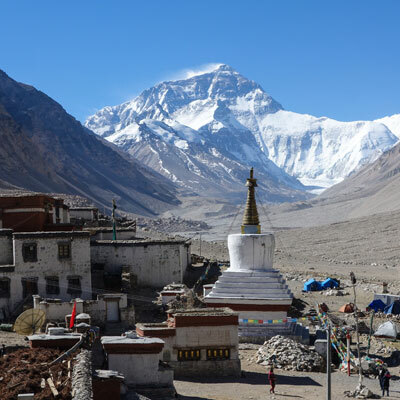 Further on we can trek towards Everest Base Camp (5364m), from where you can see the Mountains Everest (8848m), Pumori (7161m) and Lhotse (8516m) at a very close range. On the way to the base camp, we will come across diverse culture and ethnicity of the Tibetan people and the rich flora and fauna preserved in the Chomolungma (the Tibetan Name for Mount Everest) National Park. Leaving the base camp behind, we drive along the Friendship Highway to Nyalam and then to Zangmu, a border town with Nepal. From here, we will enter the lush green Sunkoshi valley, which leads us to Kathmandu. Day 01: Fly or train into Lhasa - 3650m. Day 10: Zhangmu – Kathmandu. Note: : If you wish to join this trip in Kathmandu you have to arrive 2 days prior to trip departure dates (But you need to provide us copy of your passport at least 25 days before the trip departure). Or if you wish to start in Lhasa, you can arrive Lhasa on the date mentioned above or earlier. The spectacular one hour flight from Kathmandu or a train journey from mainland China to at Gonggar airport or Lhasa Train Station; meet your Tibetan guide and an easy one hour or half hour drive to Lhasa – capital city of Tibet. The remainder of the day can be spent relaxing and acclimatizing. Overnight at hotel. Visit in Lhasa: Potala Palace, Jorkhang Temple & Barkor street, Drepung Monastery, Sera Monastery and Rimoche Temple, Tibetan Medicine Institute & overnight at Hotel. 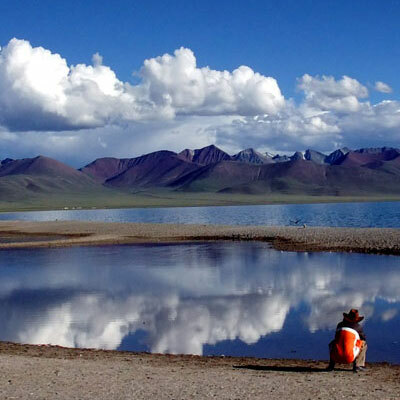 Drive Lhasa to Damshung, and forwards to Namtso Lake, literally heavenly lake, which is the biggest lake in Tibet and the second biggest salt lake in China as well as the highest lake in the world (4748m). It’s one of the three holy lakes in Tibet, playing an important role among Tibetans, excursion around the lake and Tashi Hermitage, overnight lodge at lake side. Drive from Namtso Lake, the journey continues towards Shigatse through Yangpachen hot spring to Shigatse via Da Zhu Ka ferry, visit the Tashilhunpo monastery, previously the home of Panchen Lamas & Overnight at Hotel. AM visit Tashilunbo Monastery, drive to Sakya Monastery & Overnight at Sakya guest house. AM visit Sakya Monastery, drive to Xegar, visit Xegar Dzong, continually drive to Rongbuk Monastery Overnight at Rongbuk guest house. Excursion from Rongbuk to Everst Base Camp (12km): You can take carriage for one way, and return by walk. Overnight at Rongbuk Guest House. Drive (400kms) via Nyalam crossing two spectacular passes- The Lalunga la (5050m.) & Nyalamu-la (3800m. ), visit Melaripa’s Cave en route, forwards to Zhangmu. Overnight at guest house. After China Custom formalities in Zhangmu, drive 123kms down to Friendship Bridge. From here, you will enter the lush green Sunkoshi valley, which leads you to Kathmandu. 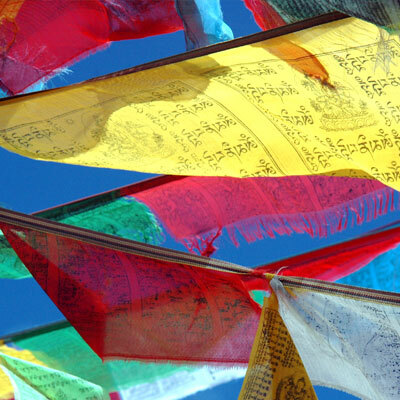 Our website contains as much information as possible about Lhasa Namtso Lake EBC tour. However, if you have any questions regarding trip, please feel free to contact us. We answer all enquiries within 24 hours. If you want to book a trip, you can send us an email or contact us directly by phone: 0977 98510 36844 (Ram Kumar Adhikari).